To all the children who were on holiday, we at KRCP welcome you back! We hope you had a good rest and looking forward to the second term. 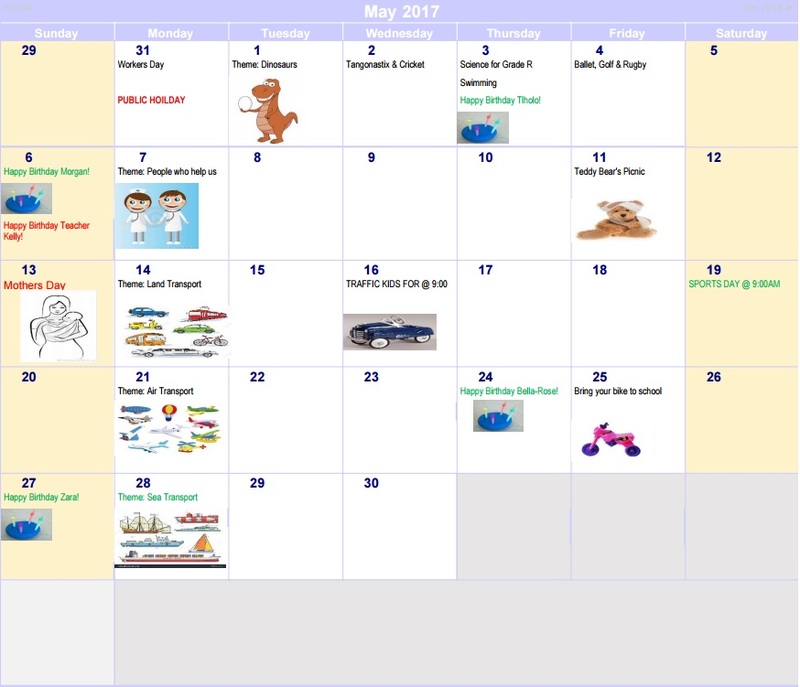 We have planned fun and exciting activities for the month of May so we encourage all the children to a full attendance. It is important that the children attend school regularly as the teachers are preparing for their reports which go out Mid June. I would like to welcome Teacher Samantha Austin to our team. Samantha will be assisting with aftercare and as well as the substitute teacher when a member of staff is absent from duty. We are going to turn the school into a mini Teddy Bear Hospital. The children can dress up as doctors or nurses and bring their favourite Teddy Bear/Toy Animal to school. We are going to nurse and take care of the Teddy Bears/Toy Animals and have a picnic on our lovely green lawn before winter sets in. If for any reason you cannot attend sports days please inform your child’s class teacher well in advance, as the sports day is a class event which involves a huge amount of planning, practising. It is very sad for the children when their class members do not arrive on the day. This is one of the children’s favourite events. They get to bring their bike, tricycle, scooter, pushcart etc., whatever they have to school for the day. Please mark your child’s bike with his/her name as it can become so confusing when more than one child brings the same type of bike to school. The teachers are in the process of preparing the children's progress report. The formal reports will be given out on the 15 June. This will be followed by an individual parent's meeting to discuss your child's progress. More info will follow in the June newsletter. We wish all our moms a wonderful Mother's Day on the 14 May and hope you will be pampered and appreciated by your family.